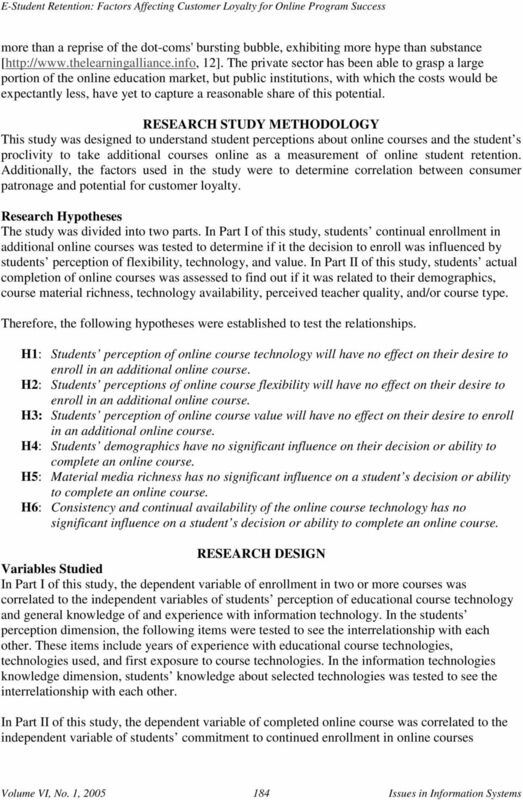 Download "E-STUDENT RETENTION: FACTORS AFFECTING CUSTOMER LOYALTY FOR ONLINE PROGRAM SUCCESS"
STUDENT PERCEPTIONS AND PREFERENCES FOR TERTIARY ONLINE COURSES: DOES PRIOR HIGH SCHOOL DISTANCE LEARNING MAKE A DIFFERENCE? 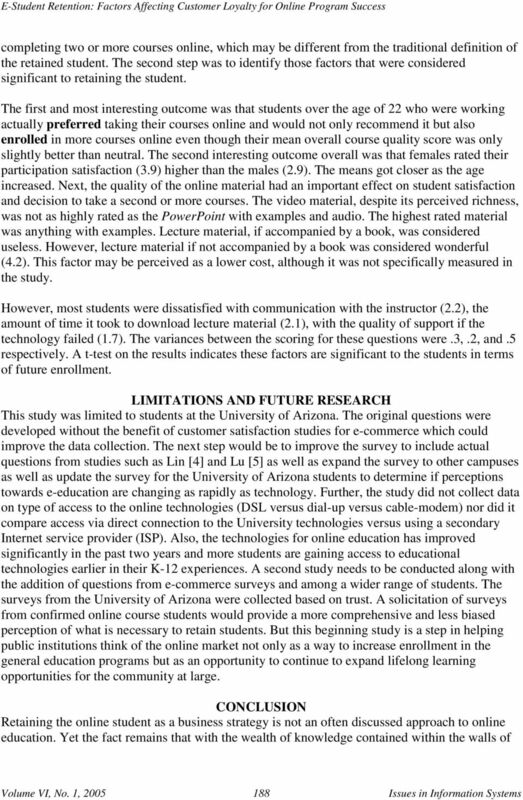 Examining Science and Engineering Students Attitudes Toward Computer Science Abstract Concerns have been raised with respect to the recent decline in enrollment in undergraduate computer science majors. 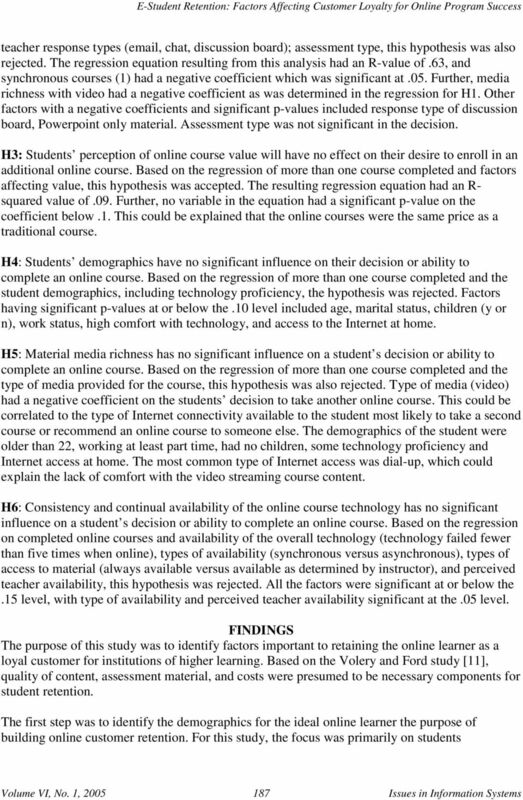 Assessment of Core Courses and Factors that Influence the Choice of a Major: A Major Bias? 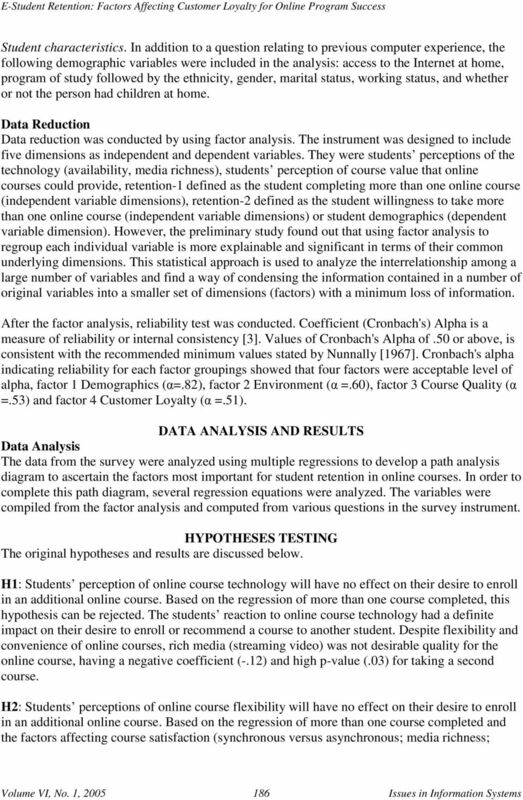 College Students Knowledge and Use of Credit Joyce E. Jones 1 Results from this exploratory study of incoming college freshmen indicated many students already had access to credit or had acquired debt. 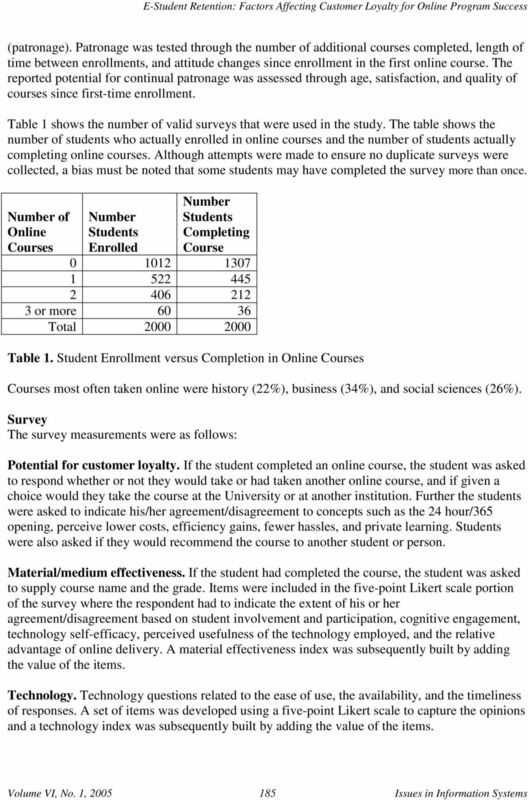 Instructor and Learner Discourse in MBA and MA Online Programs: Whom Posts more Frequently? 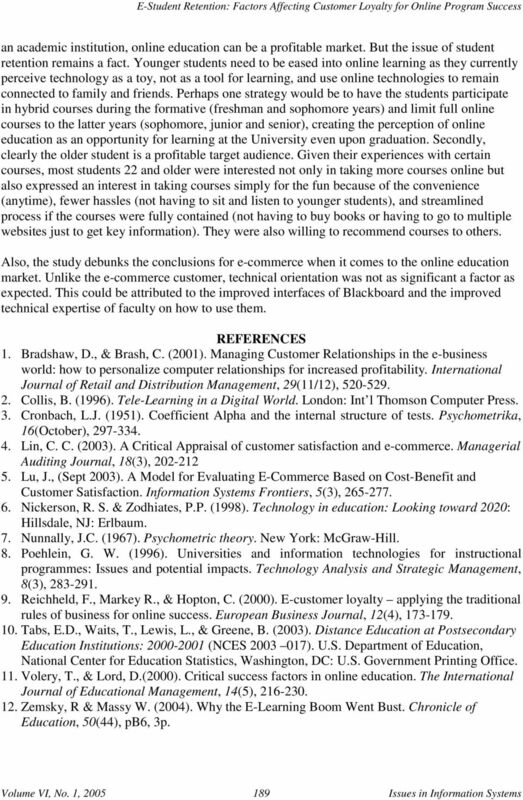 Can Annuity Purchase Intentions Be Influenced?